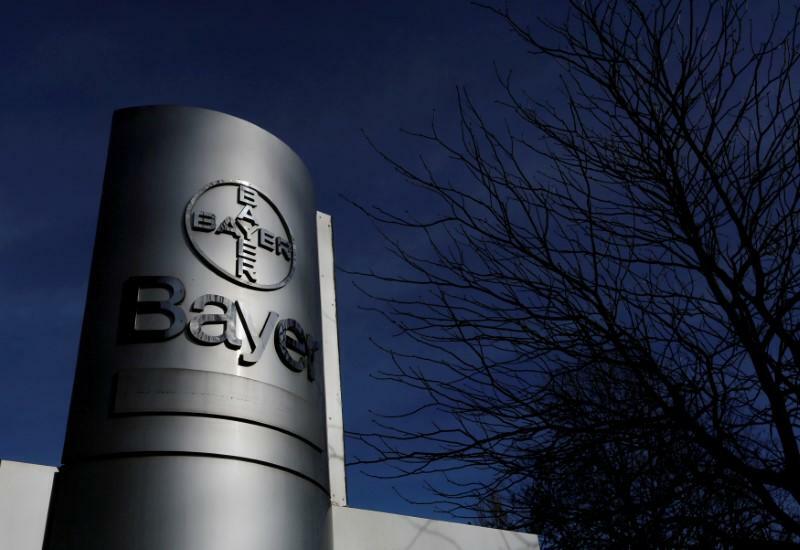 FRANKFURT (Reuters) - Bayer (BAYGn.DE) shares jumped nearly 5 percent on Tuesday following a media report that the U.S. Justice Department will allow the German drugs and pesticides group to acquire Monsanto (MON.N) in a $62.5 billion deal. "The selling of these assets and the rights issue ... should start therefore soon and should be positive triggers for the stock," Mayer said, adding the rights issue should be smaller than initially expected. Shares of Monsanto, the world's biggest seed company, approached a four-year high on the news in New York on Monday, before closing up 6.2 percent at $125.15. The takeover, one of a trio of major deals in the agribusiness sector in recent years, would create a company with a share of more than a quarter of the world's seed and pesticides market. A souring global farm economy has spurred consolidation among the major players, triggering protests from environmental and farming groups worried about their market power. "The Justice Department's paltry divestment approach does little to address the extreme control the merged firm will have over farmers' data, genetics, biotechnology traits or the associated agrichemical industry," she said.